‘The Pinch’ is located on the steeper slopes between ‘the scarp’ ridge and the shallow topography of ‘the pents’. The urban form should relate to the sloping topography, with a grain of development aligned in parallel with the contours. 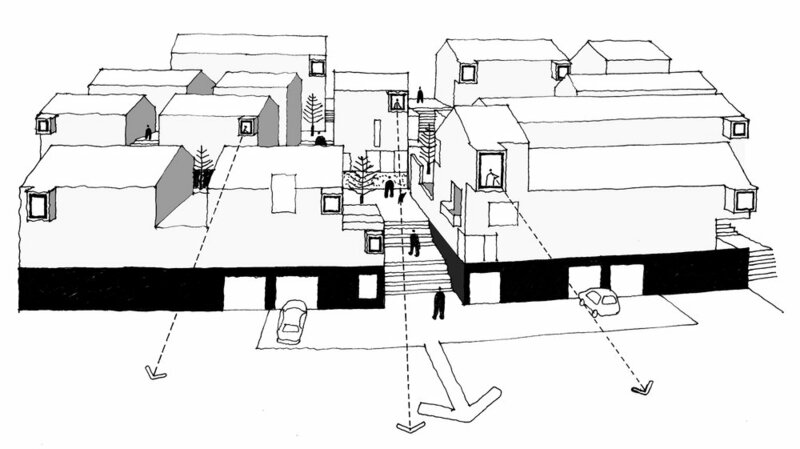 Views across the slopes towards the lake and chalk cliffs should be maximised from all dwellings. This should generate an architecture of projecting bays, which should dominate the architectural expression of this neighbourhood quarter. 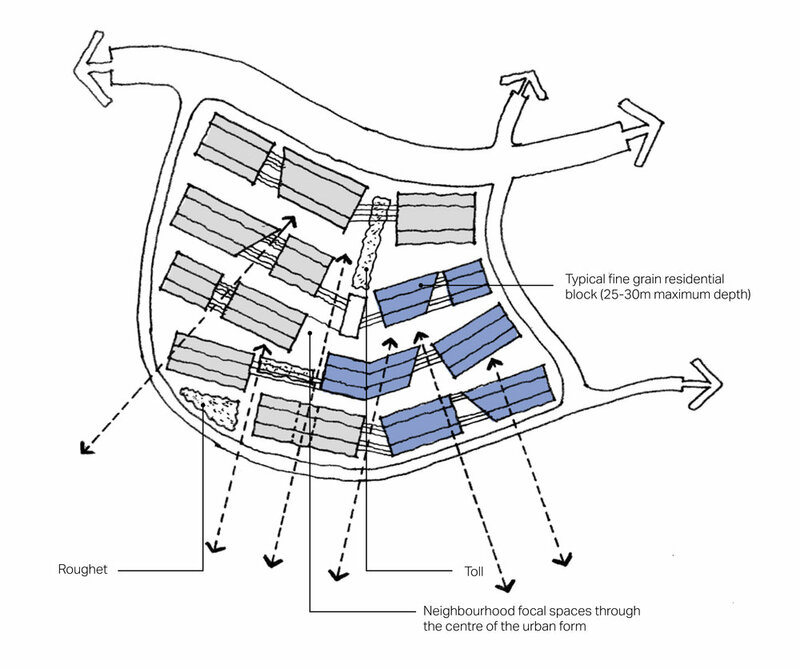 The diagram above illustrates the urban structure design principles. 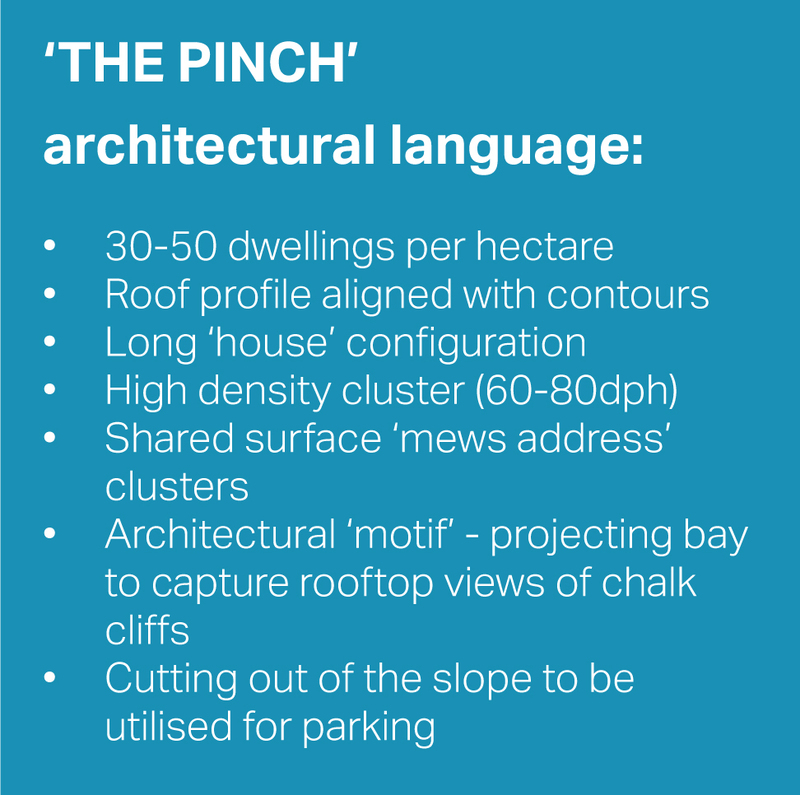 ‘The Pinch’ is located on the steeper slopes which look down towards the chalk cliffs. 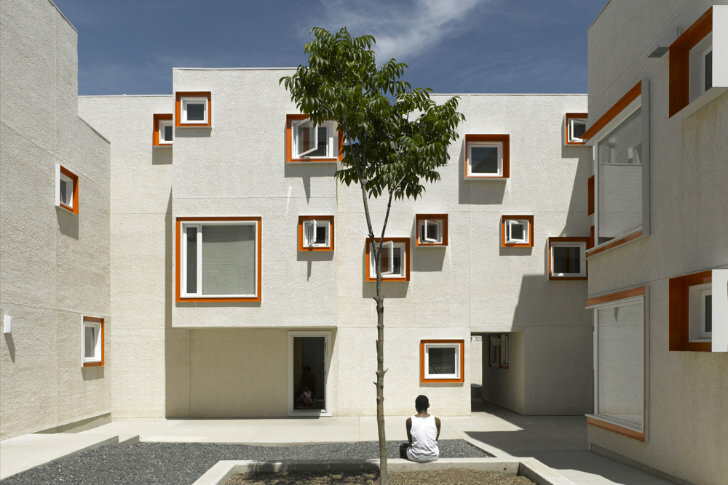 The architectural language should relate to the sloping topography. Like many of the local historic examples, the grain of developments should be aligned along the contours. 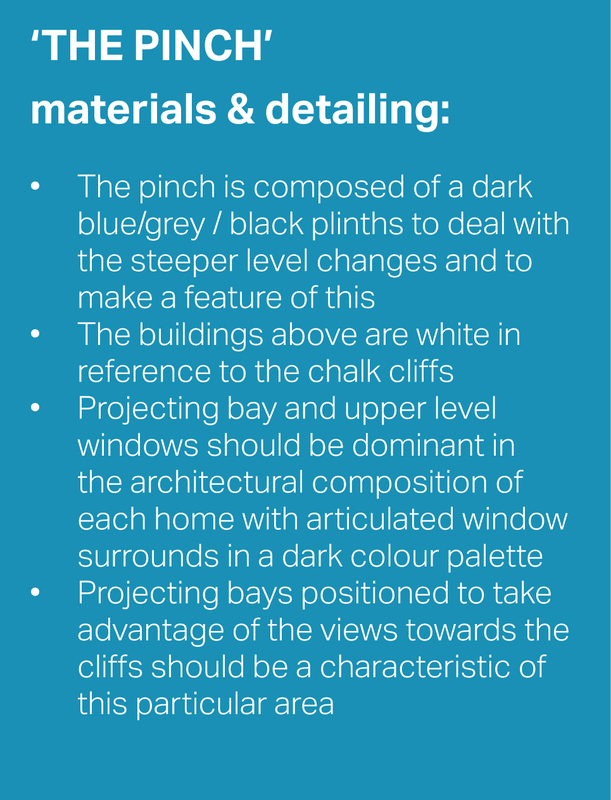 Views down the slopes towards the lake and cliffs should be maximised. 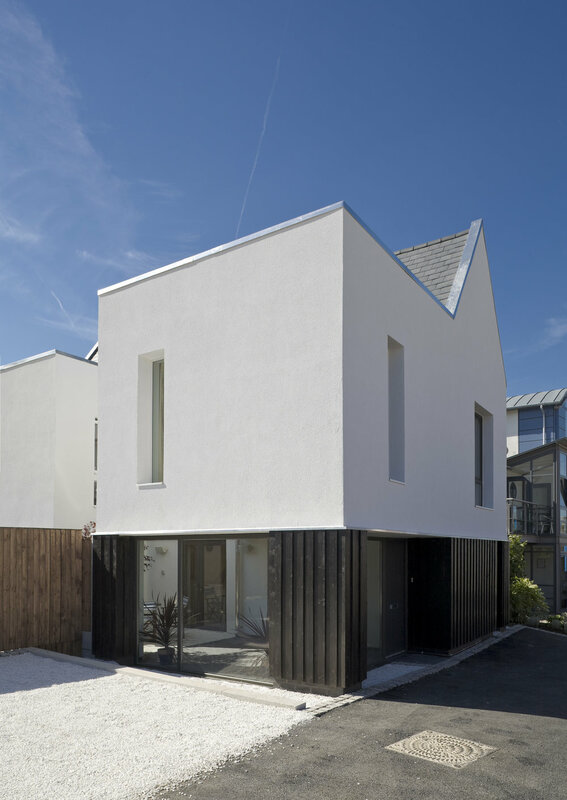 This may generate a specific architectural vocabulary of projecting bays and large upper windows which capture views across the roof tops to the chalk cliffs beyond. Parking to be integrated within the building plinths and incorporated within the steep topography of the site.